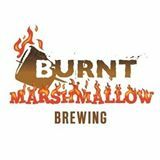 Burnt Marshmallow Brewing is the newest Nano-Brewery to open in Petoskey, Michigan. When the brewer’s Magpie IPA won the the “Judges Choice” at the Traverse City Microbrew and Music Festival in the summer of 2015, a friend in the industry connected him with the fine people at Burnt Marshmallow Brewing. Only ingredients grown on the brewery’s 190-acre farm and other locally sourced ingredients are used.